​What is Wallpaper Application & Removal? When it comes to work you need done on your walls, one of the steps that most people dislike most is that having to do with wallpaper removal. If you have ever attempted to remove wallpaper from the walls of your South Bend, IN home, you know exactly what it's like. Making matters worse is the fact that there's virtually nothing you can do to your walls until you remove not only the wallpaper, but every remnant that it was ever there. It's only then can do you whatever you intend to do to your walls, whether it be painting or some other treatment. It always seems like everyone has their own preferred method of removing wallpaper, one as unproven as any other. Fortunately, at Mishawaka Drywall there's probably nothing about wallpaper and its removal that we don't know and have probably worked with to one extent or another. It's for this reason that the following list of the most common wallpaper removal home remedy was created followed by suggestions for their most effective application. 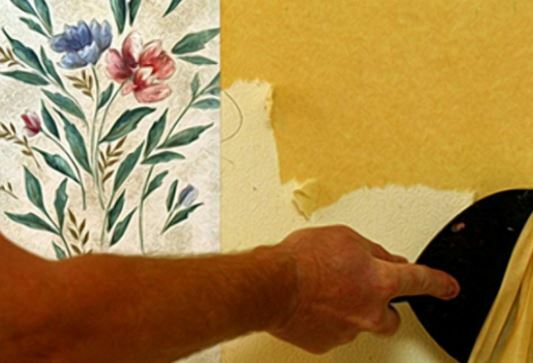 ​​Why Hire A Contractor To Remove Or Apply Wallpaper? Wallpaper Removal Fabric Softener. Probably everyone who has ever had to remove wallpaper, or thought about doing it, has heard of using fabric softener to do the job. The good news is that in many cases, it not only works, but it works better than most other methods. to do this, mix fabric softener and water in a one to one concentration, then put it into a spray bottle. 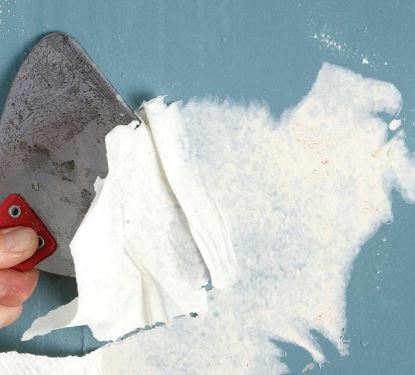 Working in small areas at a time, saturate an area, then peel off the paper as it loosens with a wallpaper removal tool. Wallpaper Removal Vinegar. Combine hot water with vinegar. Spray the mixture on the wallpaper. As this loosens the wallpaper, the vinegar dissolves the adhesive. Wallpaper Removal Solution. There are a number of wallpaper removal solutions on the market. These are effective, but some have strong chemicals in them that can make them hard to work with. Wallpaper Removal Steamer. Wallpaper removal steamers are usually available for rent at your local market or commercial rental center. How Do You Remove & Apply Wallpaper? If you would just rather not get your fingers dirty, you can avoid the issues by hiring someone to do the job for you. Most businesses that hang wallpaper also remove it for a fee. For jobs like wallpaper border removal, the job wont cost very much easier as long as its a local job in Michiana or South Bend, Indiana. If instead of having wallpaper removal, you want wallpaper applied, that can be done too. The good news in this is that there are several ways of doing it. First, you can hire a business that does it. The other is a do-it-yourself approach. Fortunately, doing it yourself is not as difficult as it might first seem. Many people consider tackling this job on their own very formidable since, of course when it is professionally done it is often completed with stunning results. Even without much experience, however, you can get the same results with some wallpaper application instructions, and maybe even hands-on instruction at your local home center. In this latter case, of course, the wallpaper application cost is limited to the paper and any wallpaper application tools that you purchase for the job. Who Should I Hire To Remove & Apply Wallpaper? Just as is the case with most jobs of this sort, there are many wallpaper application tips available for the trouble it would take to look for them. A good book on desktop wallpaper application and wallpaper border application is worth its weight in gold. There is even a wallpaper application for the iPhone and Android available. How can it get any easier? By calling Mishawaka Drywall located in South Bend.